Where they occur, Field Mice are generally the dominant small rodents. They are highly adaptable and can survive in most habitats as long as these are not too wet. (From woodland and forest to sand dunes.) Field mice excavate burrows but nest above ground. Mainly nocturnal, they have large, bulging eyes to give them good night vision. They feed on a wide variety of foods, including seeds, buds, invertebrates, fruit and fungi. Their cheek teeth are low crowned. This specimen is from St Kilda. 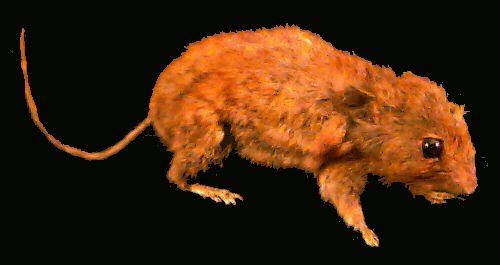 Considered a subspecies, St. Kilda mice, in common with other island strains of field mice, have a buff coloured belly and are larger than mainland field mice.